hi im new,, need help!! 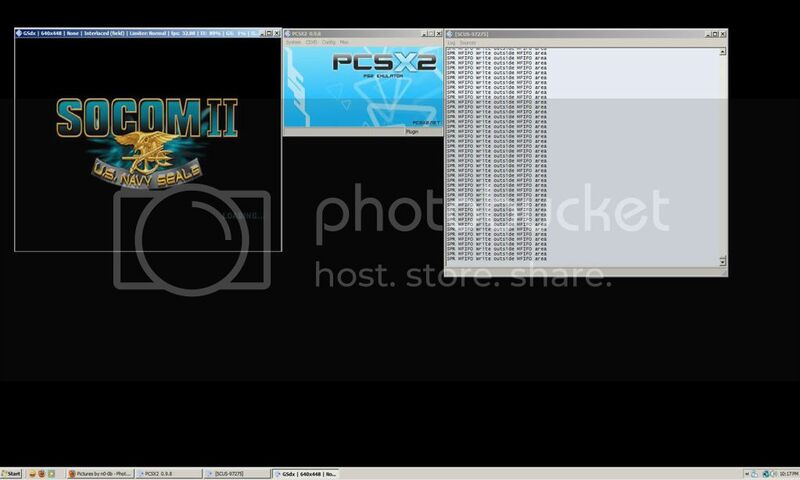 im trying to load the PS2 game socom 2, but the game always get stuck on the loading screen, BUT.. the game boots up fine, while im on the loading screen the frame is steady at 60 ,, but in 10 secs it goes down around 35 ish, and the log says.. ((SPR MIFIFO Write outside MFIFO area)). I have pics,, in 1st one frame is at 60,, really 59.78 but 10secs in look at second pic and its down around 35 really 32.88 ,, some1 please help, thanx. sry if pics are hard to see but im new, i hope u guys can see the frames. thx again, eventually i want to get this online, enlarge pic if u have too. hmm, i keep meaning to fix that! If you arent getting any issues, on the console window where its spamming, go to Source and untick "Dev Verbose" that should sort it. If not, try unticking a few of the other things in there. Interesting - are you using r4600? The compatibility list is at "Nothing" for 0.9.8, but I guess that it is good that at least it boots up now. Refraction probably knows what the particular problem is (as he said before) so he probably has the ability to debug/fix it. P.S., thanks for posting a picture with the CRC for the NA version. Edit: It will still say it, but behaviour has changed! i have got what you told me to download but it isnt opening? (This app has failed to start because w32pthreads.v4-dev.dll was not found. Re-installing the app may fix problem? 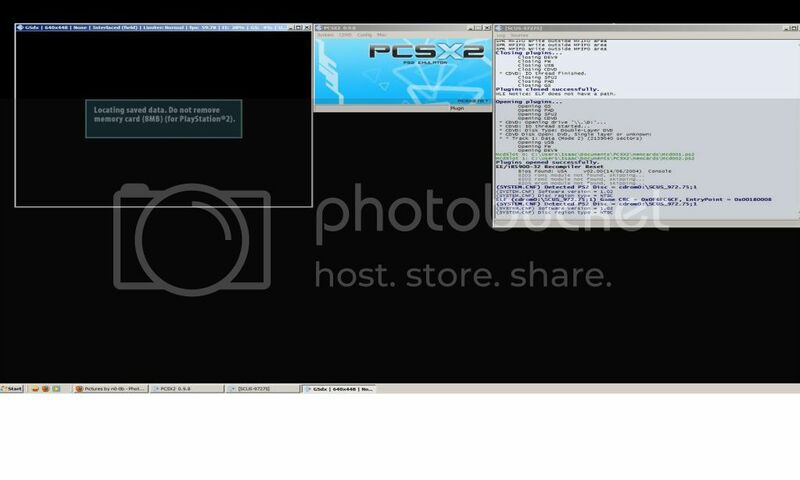 i tried placing this where the original pcsx2-r4600 is but its not loading? ?? shouldnt be blank, you do have the latest spu2x right? version 2? You just gave him the executable file, which he put in his r4600 folder, right? He should have SPU2-X 1.4.0, then.